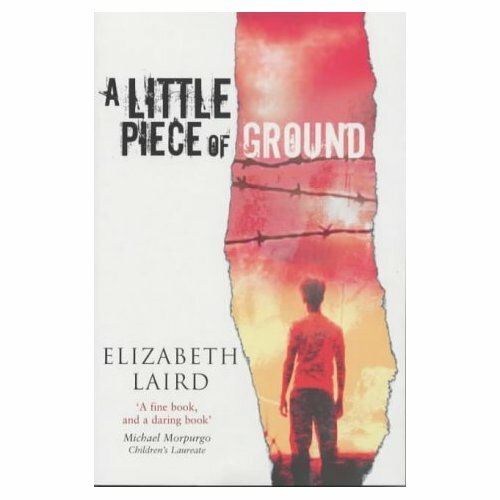 I've had A Little Piece of Ground by Elizabeth Laird unread but on my shelves since the day I heard her speak.I'm a soft touch, writers take note, I always buy the book I can't resist it.Unfortunately it's still unread but not for much longer. Elizabeth Laird spoke passionately about her decision to try and represent the Middle East conflict and specifically life in Palestine through the eyes of a 12 year old boy.This one is set in present day Ramallah and at the time Laird had indentified that the book seemed to have been read by more adults than children.She had taken a great deal of criticism on political grounds for only presenting one point of view. "Ignorance leads to fear and fear leads to hatred.Creating empathy and understanding, even if it is only from one side of the conflict, seems to me to be a perfectly reasonable thing to do"
Then The Red House Books catalogue arrived recently and Red Sky in the Morning, also by Elizabeth Laird,caught my attention.Frankly the Red House catalogue is opened long before anything from Postscript/Bibliophile/The Book People or any of the other mail order book outfits these days.I'm still on an endless roll with Children's Literature and I'm blaming Ann over on Patternings, she knows! Red Sky in the Morning duly arrived and I decided it needed immediate attention to make up for my neglect of this excellent writer.Elizabeth Laird is of the "issues" genre to my mind.Books with an underlying theme to be explored and not just a story so I should imagine these are the stuff of great classroom discussions.I know plenty of people who dislike this aspect of children's literature but I see no harm in it and this one is chock full of debate starters that I should imagine any teacher would swoop on. 12 year old Anna's brother Benedict is born with hydrocephalus and apart from his unusual physical appearance, as he grows it becomes apparent that he also has marked developmental delay. Having been so excited about the event it is two years before Anna can face telling her school friends about Ben's problems but she adores him.I can feel myself almost back with Skellig. Anna is the narrator so we get a perfect adolescent's view of this strange world, but a completely accurate one and that's enough information to give you a clear idea of how much solid emotional territory this books covers so competently.Time and again even I identified so closely with Anna in the little things not least the Saturday job.More about mine another day, I was desperate for a job in WH Smith's but to no avail,even if I did tidy the shelves for free whenever I was in there; after a stint in Woolworth's in Wallington it was a tea room on Carshalton High street called Honeybun's and waitressing for me. 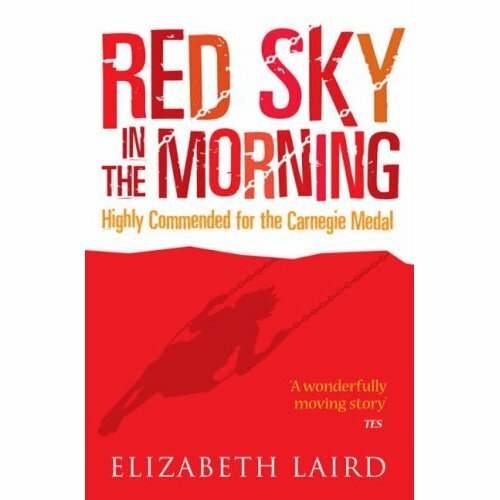 Written in 1988 it's good to see Red Sky in the Morning in print again, it's perfectly timeless in its themes and writing and well worth a read.